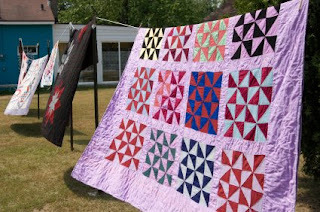 gorgeous quilts hanging over a clothesline and of course children with their livestock entries. It seems straight out of a children's story book to this city girl. Here in Missouri there are two chapters of the Smocking Arts Guild of America. One of those chapters was instrumental in getting a smocking category reinstated at our state fair. The category has grown and grown in the five years since it has been reinstated. That is wonderful. Another way to make sure that an art that I love is continued. 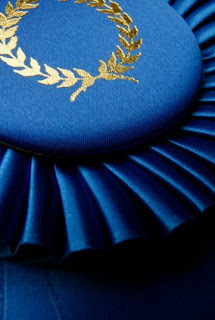 I was even blessed 3 years ago to win Best of Show in the smocking division. It was very exciting. 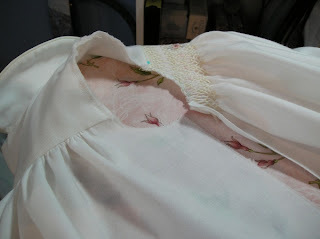 And even more exciting for me, it was for my favorite type of project, a christening gown. Not sure how I think this year's entries will do, but I am anxious to find out. My love affair with a seam ripper continues, but I was able to fix the back armhole curve on my dress. I think this one will work better don't you? It is hanging to dry now. I will have pictures of it tomorrow. 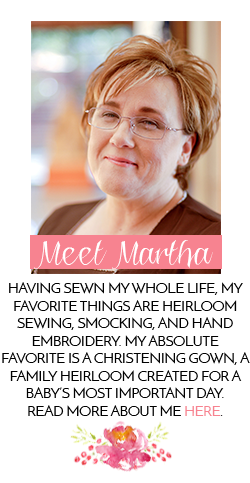 That looks like a beautiful save on the armhole, Martha. We have a large county fair here but I never seem to get my act in gear to make and time an entry. I wish you the best and know the incredible work you do, a blue ribbon is surely on its way. 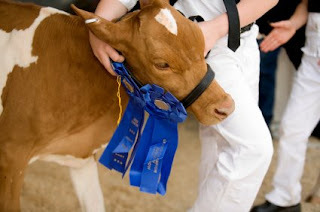 Years back, in NH, I entered my canned goods and breads in the fair and walked away with quite a few ribbons. My canned peaches were a killer and got first place every time. I wish you the same with your entries and will be watching for the results. Thanks Bunny. I feel pretty confident with a couple of the entries, but not all. But that really is okay with me. The most important is that the category stay populated and the Wee Care gown category grow each year. Ohh I would love to have some of those canned peaches. My stepfather's mother used to can pickled peaches. Loved 'em and can taste them now. Hi Nice Blog .Whether you are Human anatomy , cramming for an exam, or just have a curiosity to find out more about what makes you tick, WinkingSkull is an amazing.